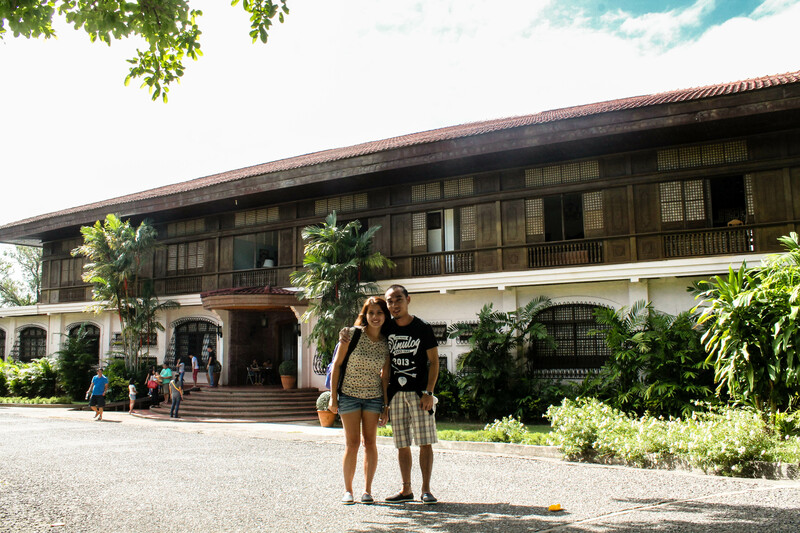 We were so hyped upon waking up on our 1st day in Ilocos. We still could not believe that we were able to reach the northernmost part of the country. We started our first day by having breakfast at the nearby McDonalds located just across Robinsons. The Amihan (northeast) winds were truly strong in the north. It was very cold when we got out from the hotel. After breakfast. 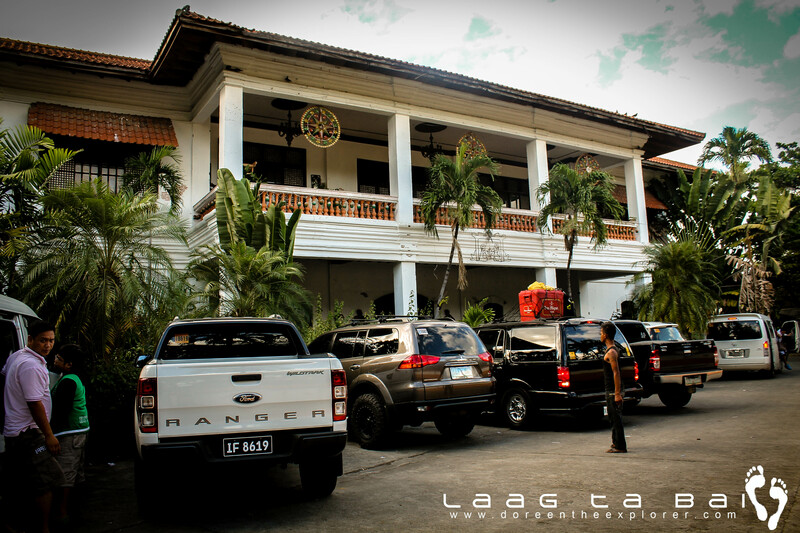 we are ready to conquer Ilocos! 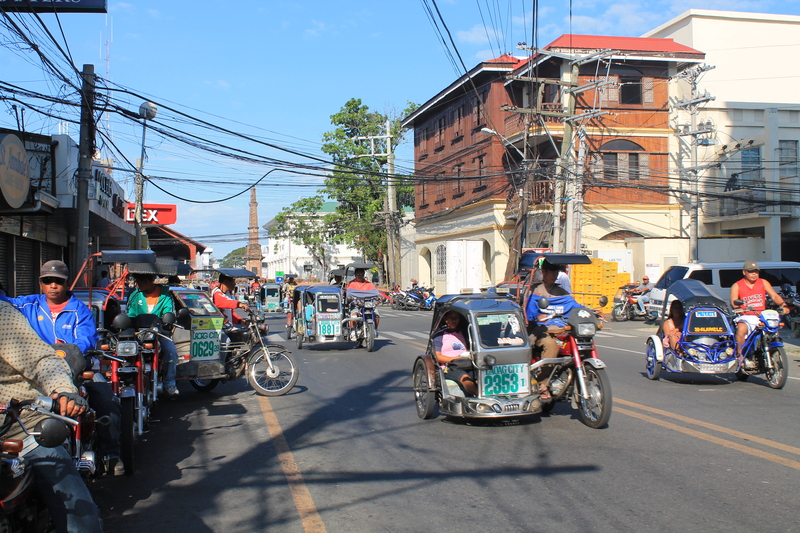 We asked tricycle drivers to take us to Pagudpud, but to our dismay, no one would consent. 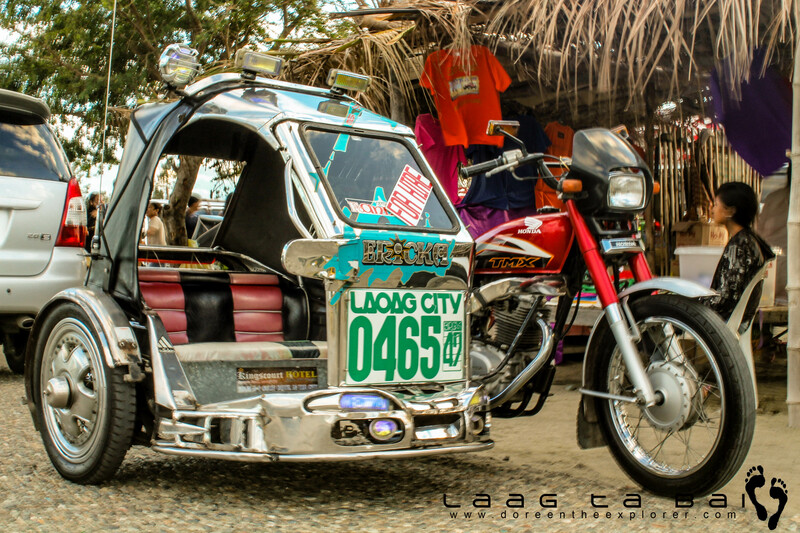 “It was too far for a tricycle, better take a bus”- they would say. 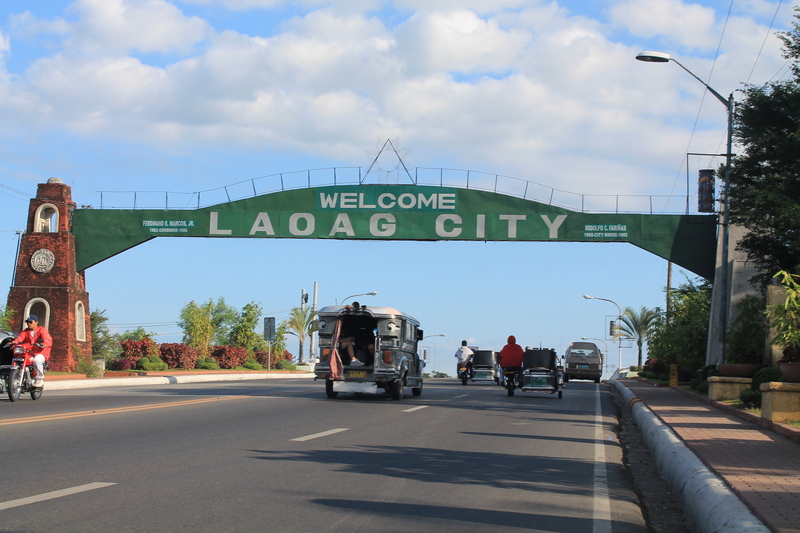 Luck was still on our side as we found kuya Rico (contact # 0907 513 8747), a tricyle driver who has been taking tourists around Ilocos. And with luck still being on our side, he knows how to speak Cebuano! 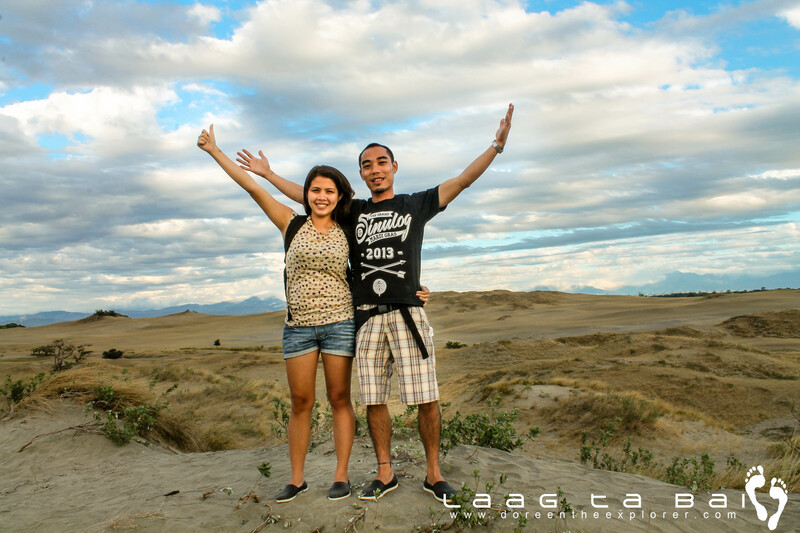 The plan was he would take us to the south part of Ilocos Norte on that day then the north attractions the next day. We paid 2000 for the whole tour. Our ride for the next 2 days. 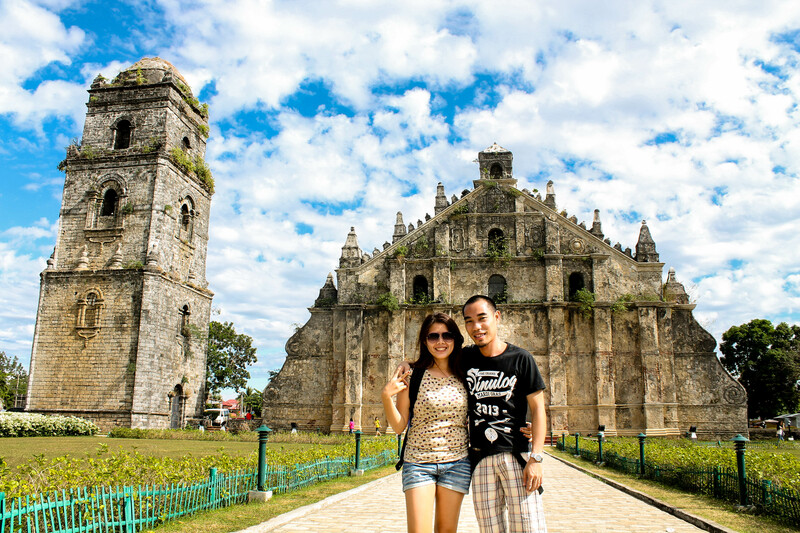 The south attractions include the Sinking Bell Tower in Laoag City, Malacanang of the North, Paoay Church. 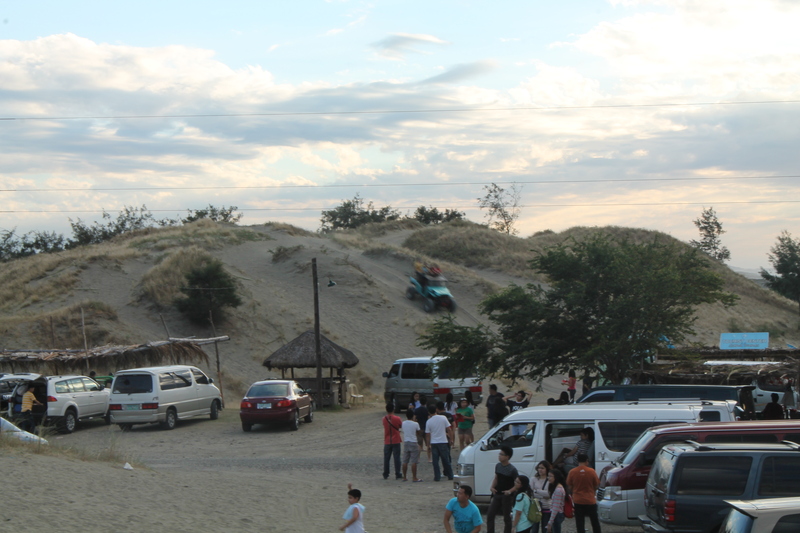 Paoay sand dunes and the Marcos Museum in Batac. 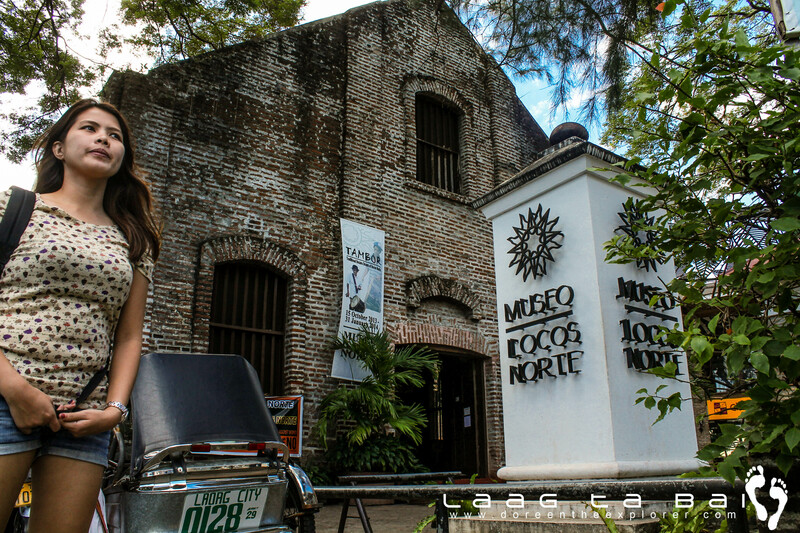 The north attractions on the other hand include Cape Bojeador in Burgos, Kapurpurawan Rock Formation, the Bangui Windmills, Patapat Viaduct and of course Pagudpud. 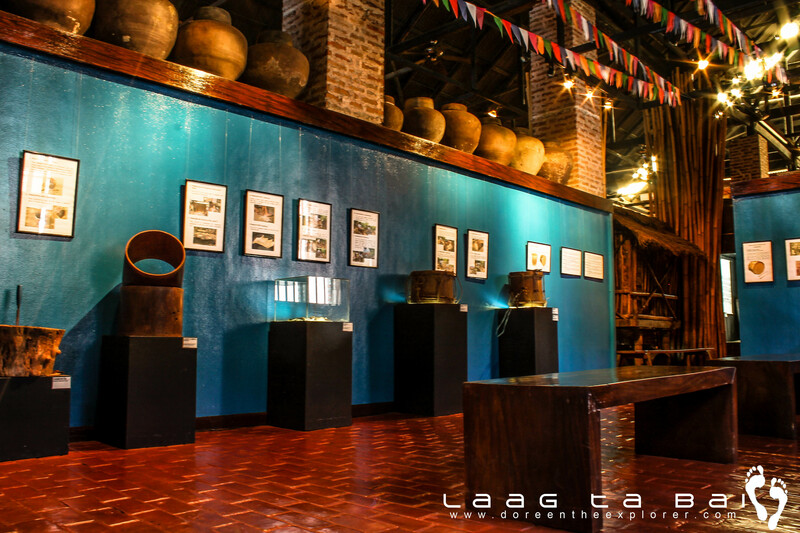 One of the attractions that you will see as you roam around Laoag City is the Sinking Bell Tower, which sinks into the ground at a rate of 1 inch per year. Stories told that person on a horseback can actually pass the main door of the tower yet now a person has to lean down in order to pass the door. Just a hundred steps away from the tower is the Tobacco Monopoly Monument, which commemorates the lifting of the tobacco monopoly in the Philippines during the Spanish rule. 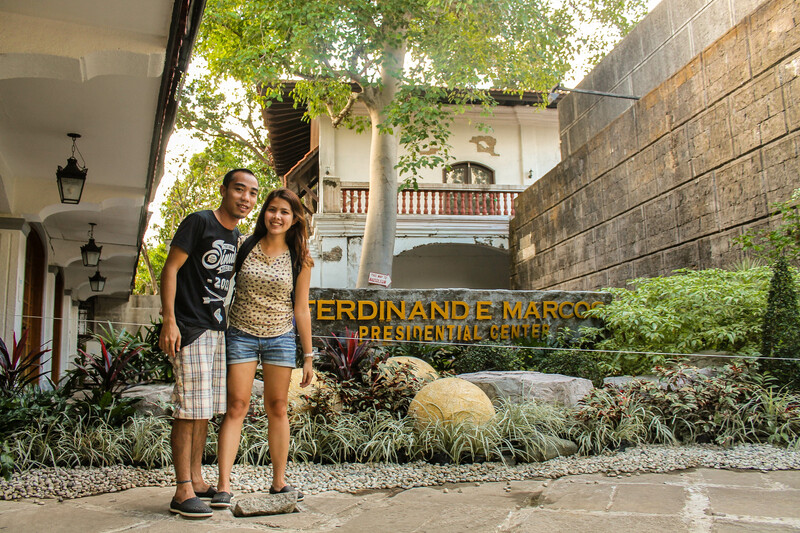 This monument was a gratitude to the king who banished the Filipinos from planting tobacco forcefully. 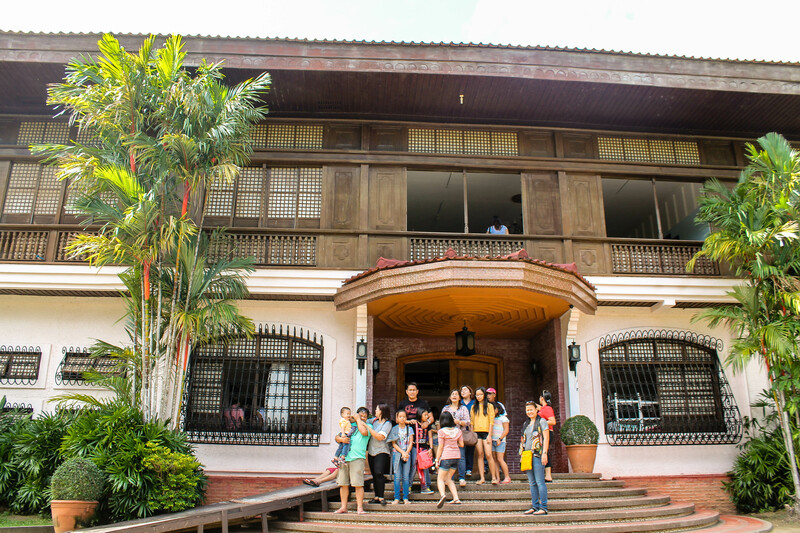 The Malacanang ti Amianan (Malacanang of the North) was home to the influential clan of the Marcoses whenever they are in Ilocos. Being the president of the country for more than 2 decades, Pres. 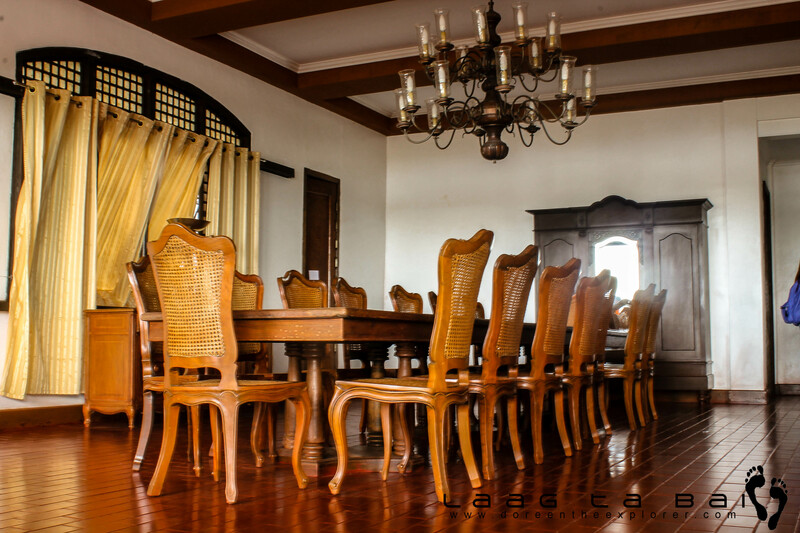 Ferdinand Marcos would house guests and convene meetings inside this house. 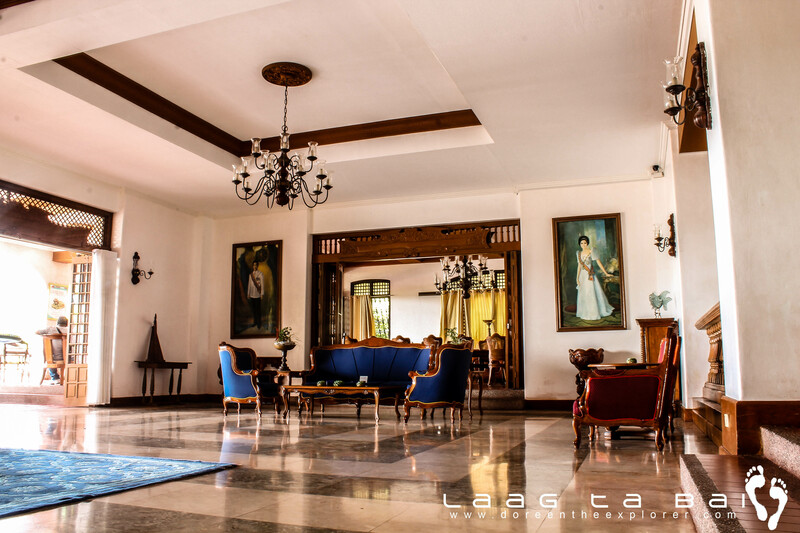 Located in a 5 hectare land, the house has 2 stories overlooking the Paoay Lake. 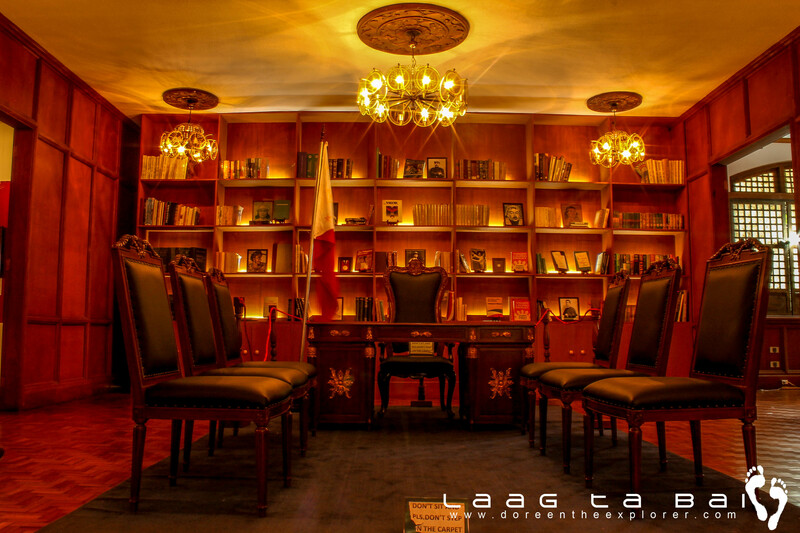 When the Marcos regime weaned, the mansion was made into a museum for late president’s memorabilia. 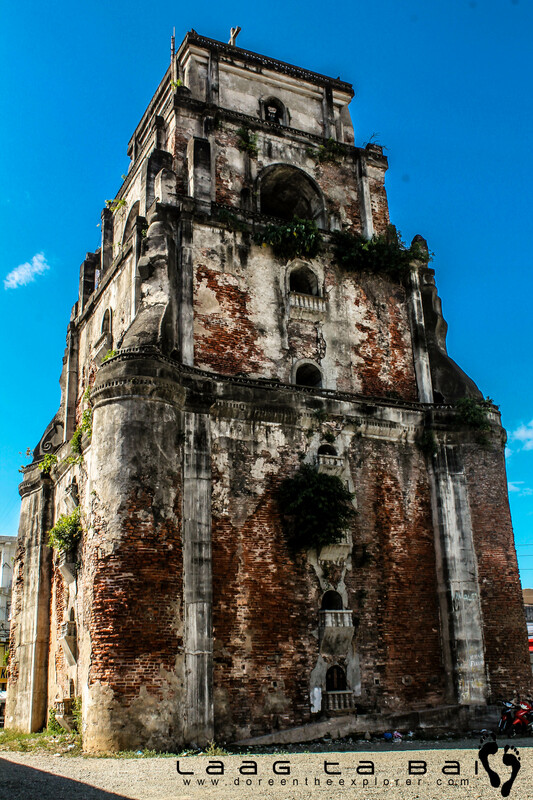 The Saint Augustine Church in Paoay is a UNESCO World Heritage Site. 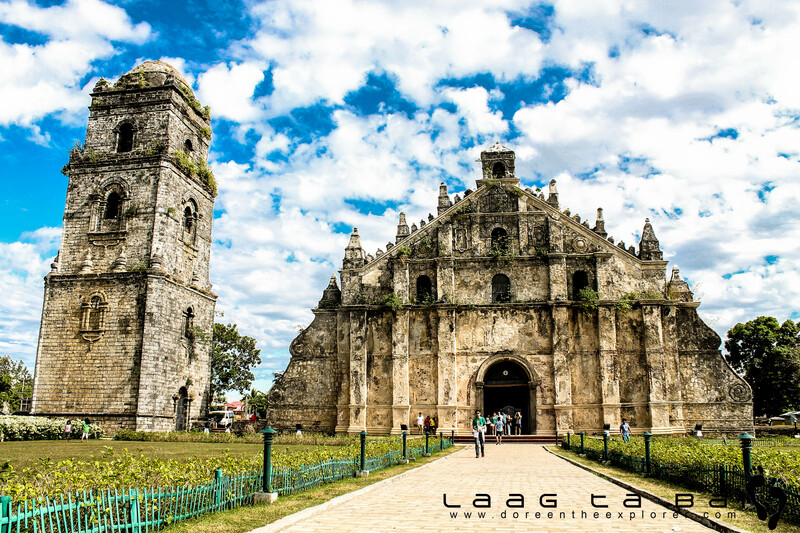 It is one of the 4 Baroque Churches in the Philippines. 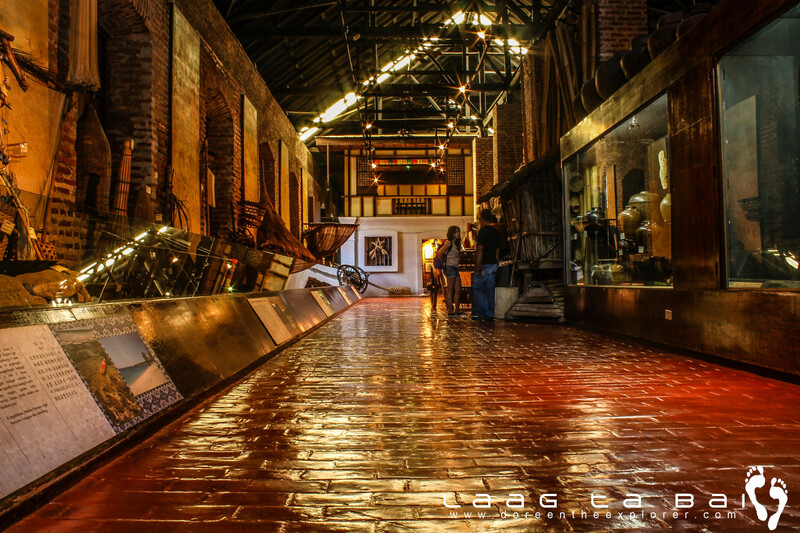 Built during the, 1600s, its massive appearance is made of brick and coral stones. 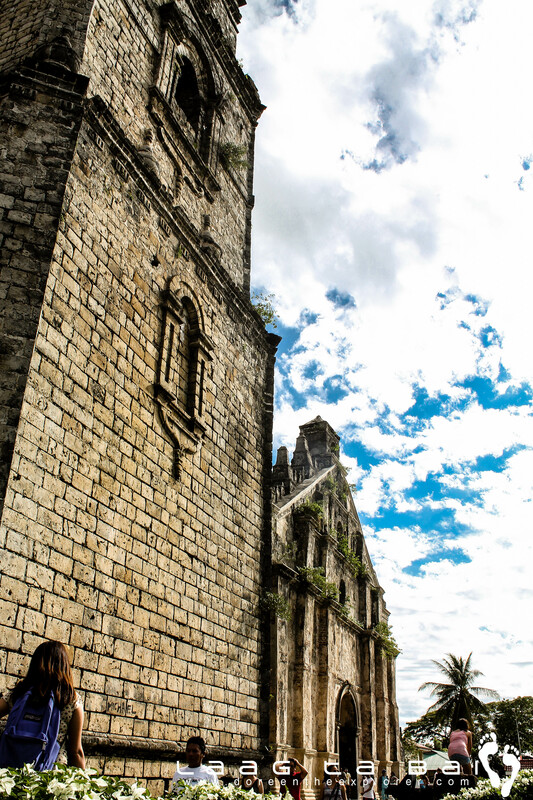 The best known earthquake baroque church in the Philippines, it has 24 buttresses that would help it withstand massive earthquakes. This long stretch of pure sand has been the shooting ground for hollywood movies like Mad max and Born on the Fourth of July. Visiting this place would make you think how on earth did this happen? haha. 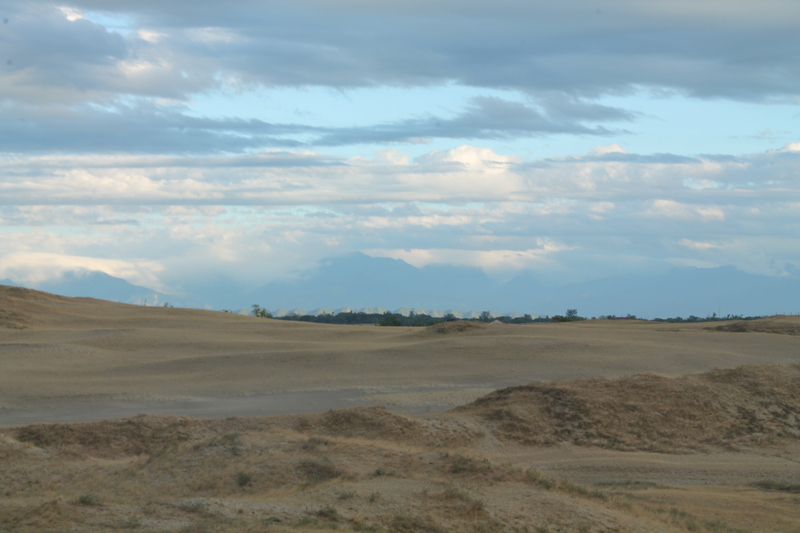 The vast land stretches to 88 km. 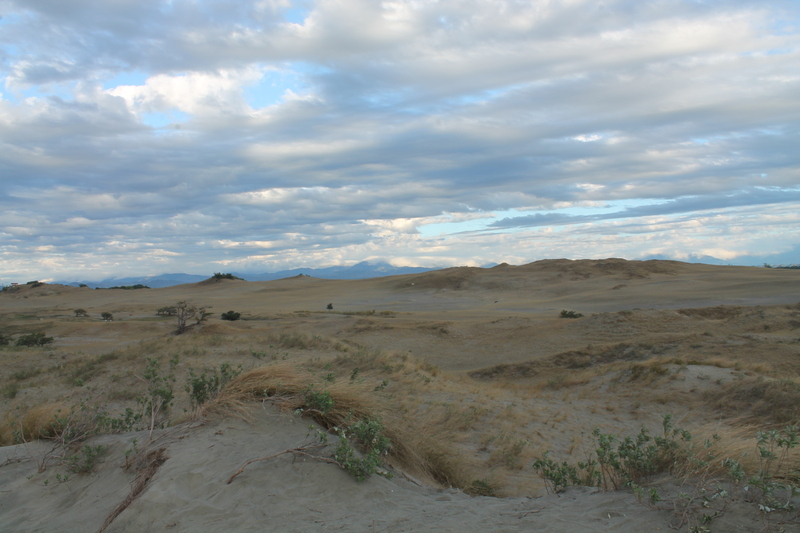 Dunes are formed by wind accumulating a mound of sand usually on a beach or in a desert. 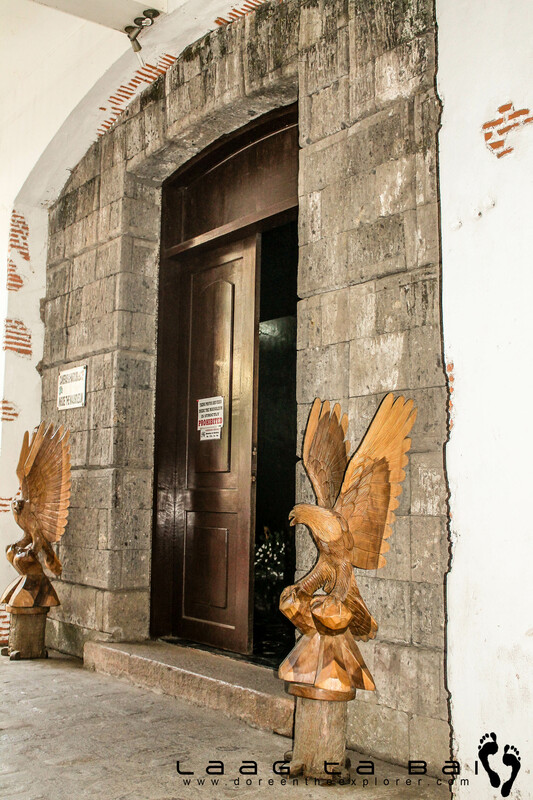 The Marcos Museum in Batac houses President Ferdinand Marcos’ memorabilia. Everything, from his biography to a detailed description of his presidency can be found here. There is even a short film depicting the life of the late president. The highlight of our visit in Batac is the mausoleum of the late president.It was a very remarkable and overwhelming experience for us. 25 years after the president’s death, his body is still being preserved intact and for public display. No cameras were allowed as one enters the mausoleum. 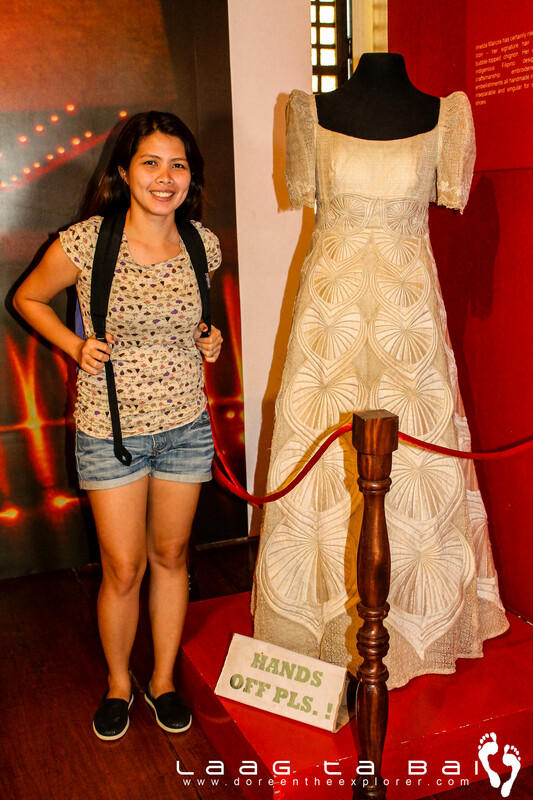 Just adjacent to the museum is the former first lady, Imelda Marcos’ residence. Who could miss this? We had our lunch at the stalls near the Marcos Museum in Batac, and all I can say is you should try the Bagnet! It is the Ilocano version of the lechon kawali.